Having Trouble Finding your Lab Results on the Portal? If you have your lab tests done through any of the following laboratories, the results are delivered directly to your secure patient portal. In order to see those results, you must access the Chart tab. 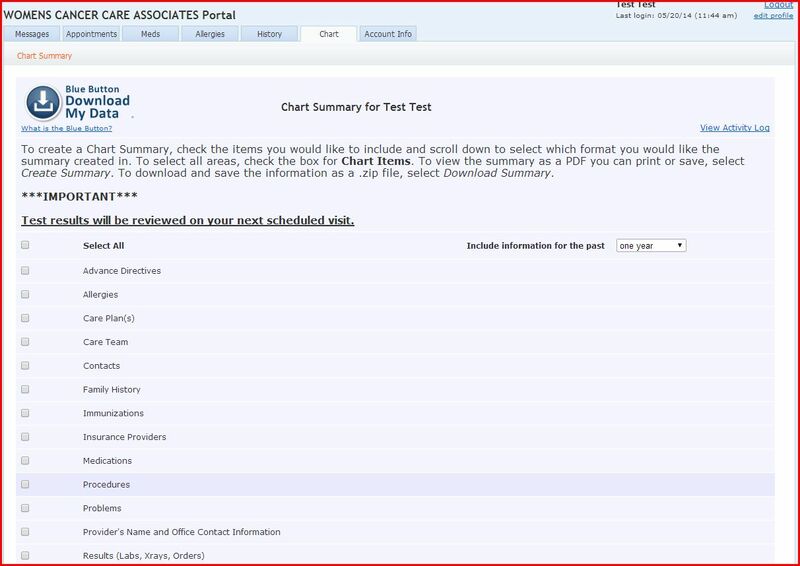 Check the Results box, and then click the View Chart as PDF button. Your results will download in another screen. You can then view, print or save the results to your computer. We are currently working on implementing electronic connections with more lab facilities. If you have your labs done at a laboratory other than the ones listed above, your results are still delivered on paper. We can upload those results to your portal account at your request. Please be aware that lab results are not uploaded to the portal until they have been reviewed by the clinician. As always, please contact the office for any questions!